This 4 bedroom, 2-1/2 bath home, built in 2015, boasts outstanding outdoor space. The large paver patio offers two spaces for entertaining surrounded by half walls for extra seating. The outdoor fire pit could easily be converted to gas as the gas line is already piped to the area. The backyard is fully fenced for privacy and the entire yard has an irrigation system. Inside the home, there is an open floor plan featuring a two-story great room with corner fireplace, dining room with wainscoating, and kitchen and breakfast area that opens to the outdoor patio. The master bedroom on the main level offers a spacious master bath with separate tub and shower and walk-in closet with built-in closet shelving. Upstairs, you&apos;ll find three more spacious bedrooms that share a bath. 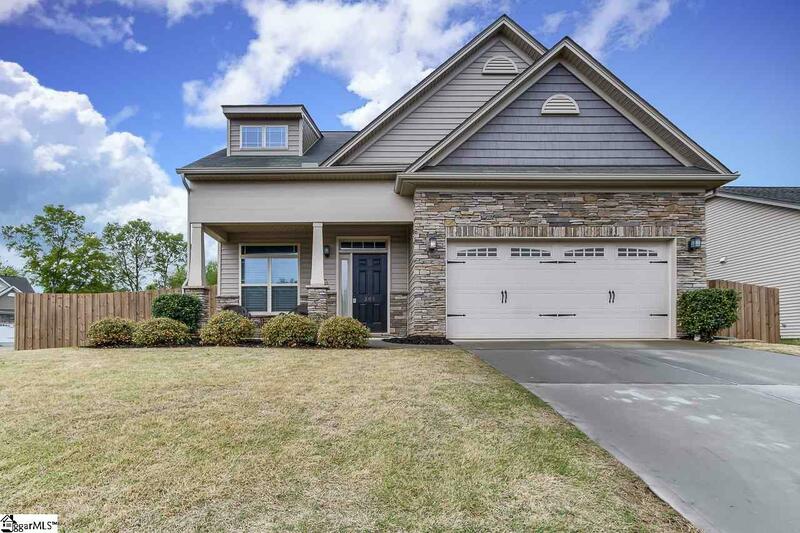 This beautiful home is situated on a corner lot and is conveniently located near downtown Simpsonville.